This variety is rare and unusual. 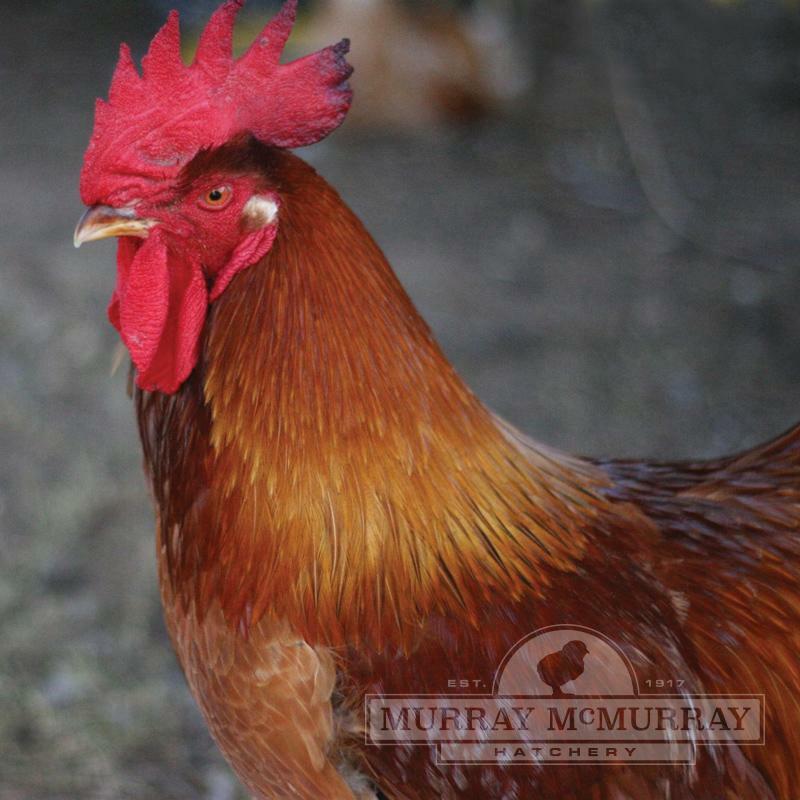 Imagine a rich, brilliant red plumage color combined with a graceful carriage, sweeping tail, white ear lobes, and yellow shanks and toes. This is another fine variety for showing. The hens lay a tinted white egg and are practically non-setters. Chicks are a reddish brown and many have darker specks and markings on the back. 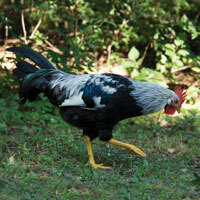 Try some of these handsome birds for an interesting and beautiful addition to your flock. Beautiful birdsI ordered 25 of these straight run several years ago and I really liked them. 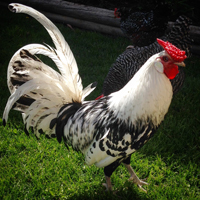 They are beautiful birds, especially the roosters with their graceful Mediterranean-type tails. I've had many different breeds over my life, ordered from you and bought from our local feed store, and I would consider Red Leghorns again. I had great luck with them, all of them arrived safe and sound. The only bad delivery I ever had from McMurray was when I ordered 25 Blue Andalusians, half of which were DOA. But I have read here that others have had similar trouble with this breed. But you all made good on them. 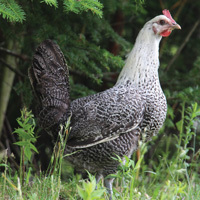 Right now I have a mixed flock of New Hampshire Reds and Delaware (plus 2 blue cochin) hens, which are also nice birds. They were a year old this past spring and I will hopefully get several more good years out of them. Very weak breedThese little chicks are adorable but very weak and fraile. 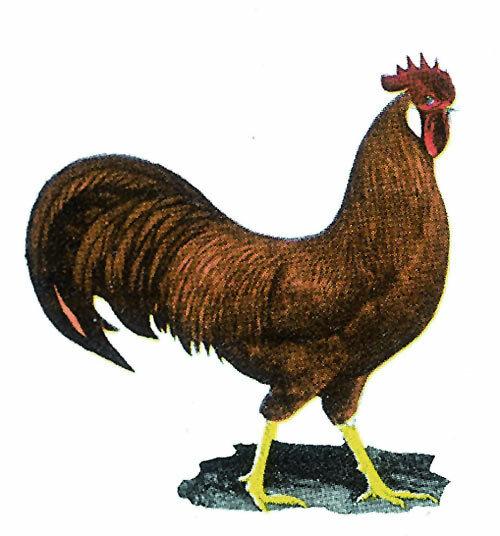 I ordered a variety of 33 chicks from the hatchery, 3 of which were the Red Leghorns. All chicks were vibrant and alive upon arrival, except 1 red leghorn that was near death. I separated her and gave her vitamins and electrolyte water by dropper every few hours for a few days and surprisingly, she pulled through! A few weeks later I went to do chores in the a.m. and found a different red leghorn dead, stuck upside down in the shavings. Now today (about 1 month after arrival) the 1 I nursed back to health was lethargic and died this morning. The last of the 3 is still very, very small and her wing is drooping and she waddles around like its a feat to even walk. She spends a lot of time laying down and I won't be surprised (but will be sad) if she dies too. Not sure if it was a bad, sick hatch...or if this breed is just as fragile as I have experienced. They are adorable and the kids and I are sad to have lost them.